DESCRIPTION Fantastic family home backing directly onto a park, near neighbourhood schools, shopping and bus services. Over 2800 sf finished living space (1950 sf above grade). This home boasts hardwood floors on main/upper levels. Granite counter tops in kitchen. All windows replaced with triple-pane glass. 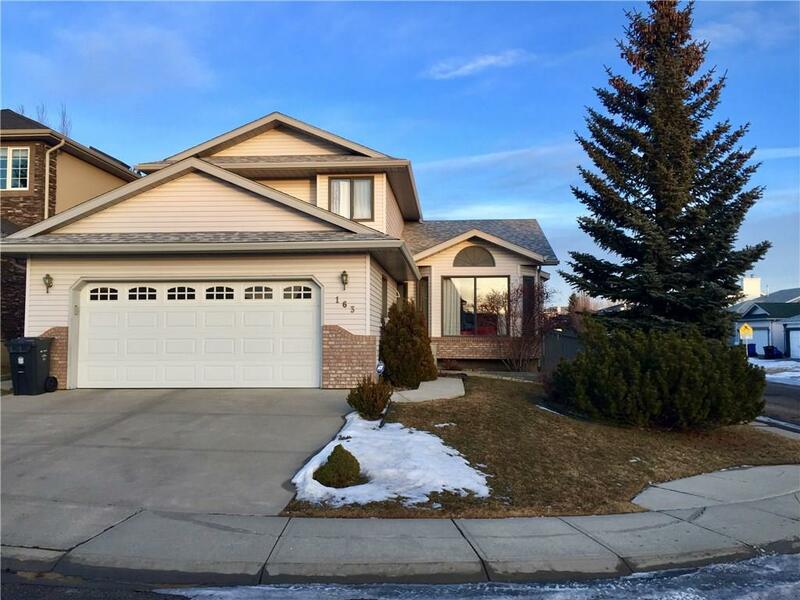 Bright finished basement (oversized windows) has family room, bedroom with ensuite full bath. Some family room furniture can remain if new buyer desires. Main floor is very open and bright, with large windows, high ceilings and kitchen skylight. Main floor laundry converted to storage, but connections still exist. Main floor den, in addition to kitchen, family room and living/dining area. Family room has gas fire place with built-in bookshelves on either side. Three bedrooms upstairs with full bath and master ensuite with jetted tub and separate shower. Last five years new roof shingles and new/refinished hardwood floors on main level. Corner lot on a quiet Cul-de-sac, fully landscaped with access for RV parking. Great family home in a quiet neighbourhood. 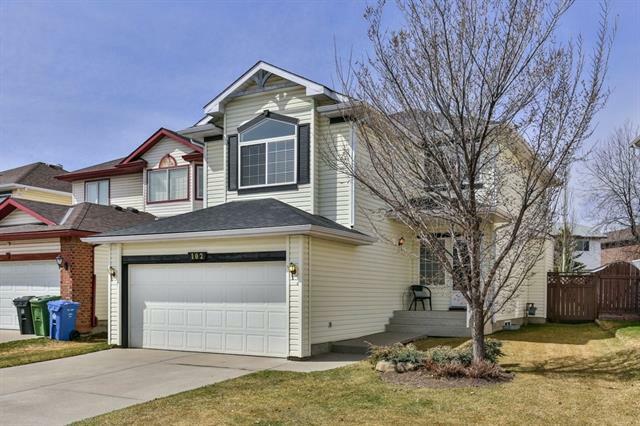 Home for sale at 163 Citadel Hi PL Nw Calgary, Alberts T3G 3V5. 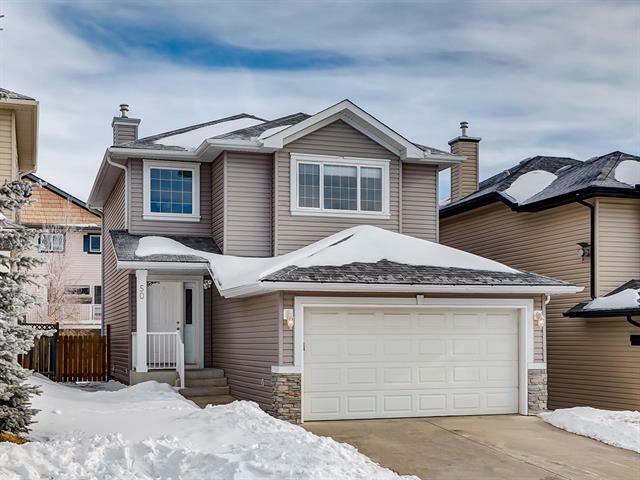 Description: The home at 163 Citadel Hi PL Nw Calgary, Alberta T3G 3V5 with the MLS® Number C4225982 is currently listed at $477,000.